You’ve probably heard people talking about “probate.” They’re usually talking about avoiding probate. To probate a Will means to get a court to approve the Will, or state the Will is valid. A personal representative (or executor) either named in the Will or appointed by the Court then goes about the business of gathering estate assets, paying any claims against the estate, and disbursing remaining assets to heirs. If the person who passed away did not leave a Will, then state laws take over. With or without a Will, the estate assets will eventually get distributed to the rightful heirs as long as some can be found. If none can be found, the estate will go to the State of Arizona (in 2017, we were forced to turn over $150,000 to the State of Arizona because a Chandler man died without a will and we couldn’t locate his family – this stuff really happens). Probate can be lengthy, depending on the size and complexity of the estate. The average length of time to probate an estate in Arizona is 12-18 months. Transfer by Small Affidavit may be used to pass personal and real property in small estates. Summary Administration is another way of closing a small estate. One advantage is that the executor can distribute estate assets quickly without an accounting. Informal Probate is one of the most common probate proceedings. 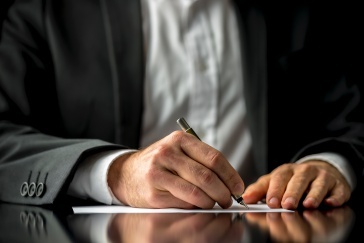 Procedures are simple compared to a formal probate, but it still requires compliance with many formalities, red-tape, and bureaucratic regulations. There are advantages and disadvantages to an informal probate. Formal Probate is more complicated than the previous three levels of administration, but less than a supervised administration. It will require you to appear in a courtroom for some kind of hearing with a judge. This may be required for one or more steps during the administration, depending on the situation. Supervised Administration is the most complex level of probate. A probate court will supervise how the estate is handled at each step. There are more rules to follow, but also more protection to beneficiaries and the personal representative. Property held in a Living Trust. Property held in joint tenancy. Community property with right of survivorship. Assets registered in transfer-on-death forms. Real estate transferred by beneficiary deed. Any accounts where the account holder designated proper beneficiaries. Sound complicated? It can be! That’s why we’re here, though. We help many of our clients get through the probate process in the most stress-free way possible. One of our most important goals is to help clients avoid going through the probate process. Give us a call (480) 418-8448 to schedule a Free Case Evaluation of your loved one’s affairs to see if a probate is required and what steps you would need to take.